Beautiful princess style strapless Ivory wedding dress. 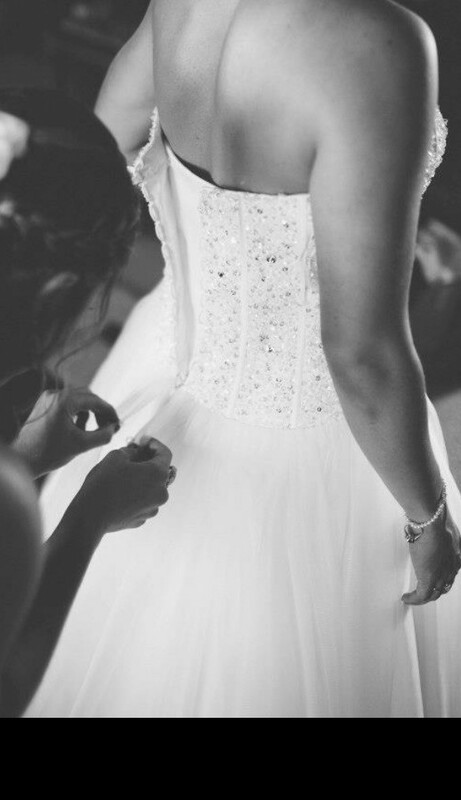 Lace up bodice with beading and crystals. Layered tulle skirt. Very comfortable dress. This dress will suit size 8-10 as the bodice is laced up. This dress would suit a smaller, shorter bride. The tulle skirt measures 95cm on the hang and can be altered to measure even shorter if need be.